We offer you a solution for all those concerns and more – a CPA who is a specialist in Accounting, Comprehensive Tax and Payroll Services is available to help you solve all the issues that are currently slowing down operations and soon you will have things running smoothly again. In addition to the time and effort saved you save in cost too since the Accounting and other Services are handled offsite... Now isn’t that incredible? At Paul Joseph CPA we take great pride in offering value to every client. So, even though we tailor the services to match your specific needs you don’t have to break the bank to pay for our services - customized solutions at down-to-earth fees. Since 1982, we have developed long-term relationships with our clients by providing valuable, proactive and objective advice based on an intimate knowledge of our clients’ unique business goals. We create customized, targeted strategies that work to make the most of existing and emerging opportunities. 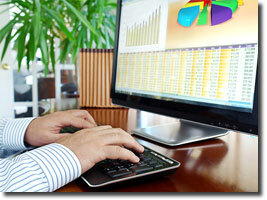 Our services encompass nearly every aspect of financial life. Experienced in all matters of accounting and taxation, IRS problem resolution, estates and trusts, business formation, financial planning and investment, real estate and business sales. Need help managing your money? 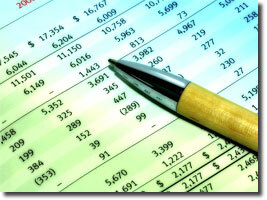 Let a Certified Public Accountant solve your tax and financial issues. Paul Joseph CPA, has over 20 years of demonstrated success in helping businesses and individuals minimize tax exposure while maximizing their ability to grow assets and revenue. Call (586) 506-2120 now to get started on a more secure financial future.